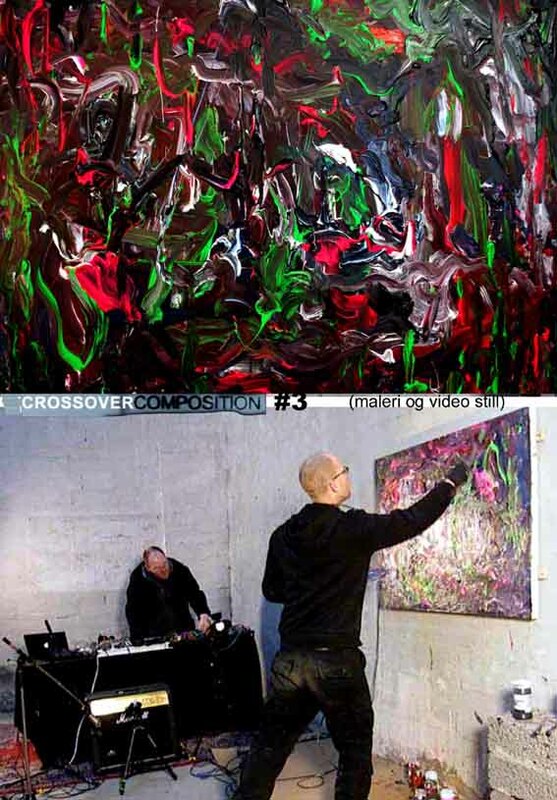 Crossover Composition an event and exhibit, where two artists or musicians work in tandem to create a painting/sound-composition. 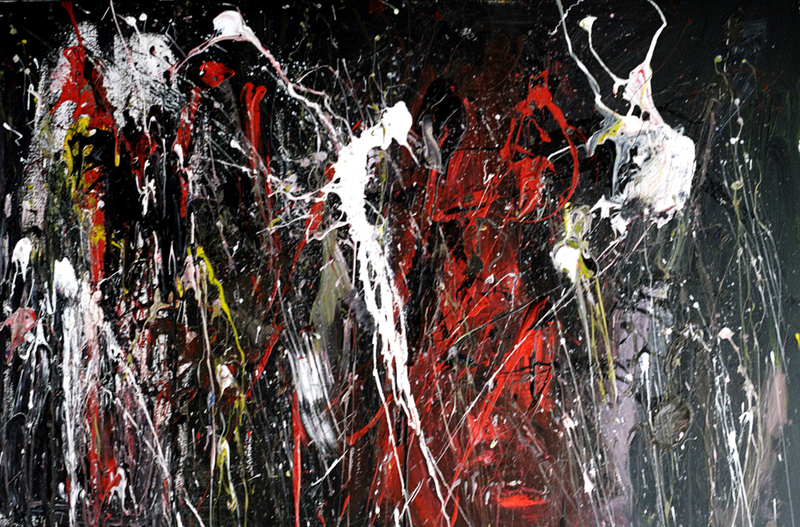 A canvas is mounted directly onto a wall, acrylic paints are used. 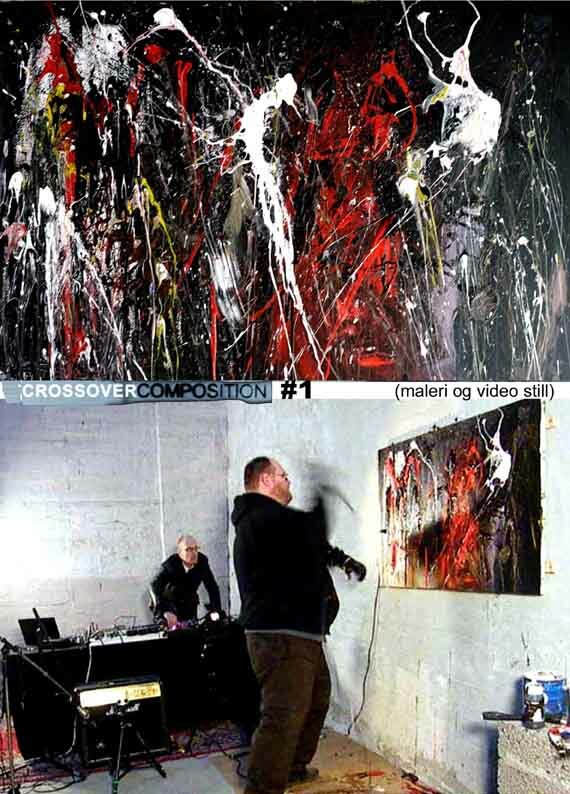 One artist concentrates on painting (on a canvas and paintbrushes that have been prepared with contact microphones, that transform every touch and vibration into sound) while the other artist/musician manipulates the sound from the canvas/paintbrushes through a set of guitar effect pedals. The performance is filmed and the sound recorded to be made into a CD and DVD. 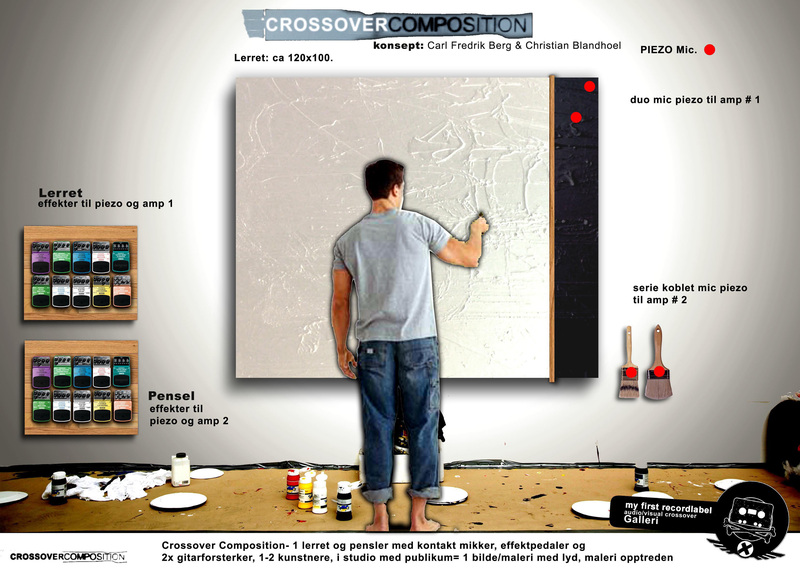 The finished result is designated a chronological number in the crossover composition series. The Crossover composition session is improvised, where the painter and sound manipulator only rehearse to learn the sound palette of their instruments and to decide the roles and premises of the performance. E.g. 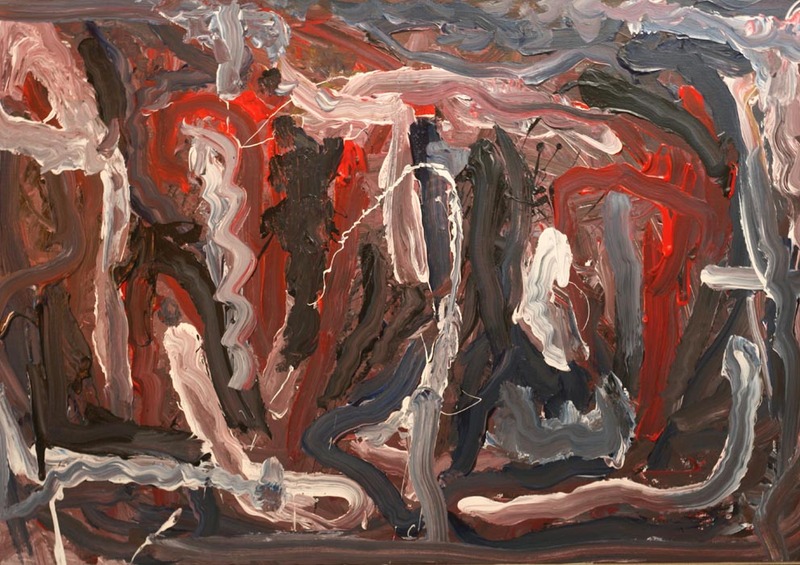 who is responsible for the composition and if the painting is to be dictated by sound or whether sound will come as a result of an imagined motif where the sound artist shapes the sound accordingly. The performance can be performed by either invited artists or the concept originators. 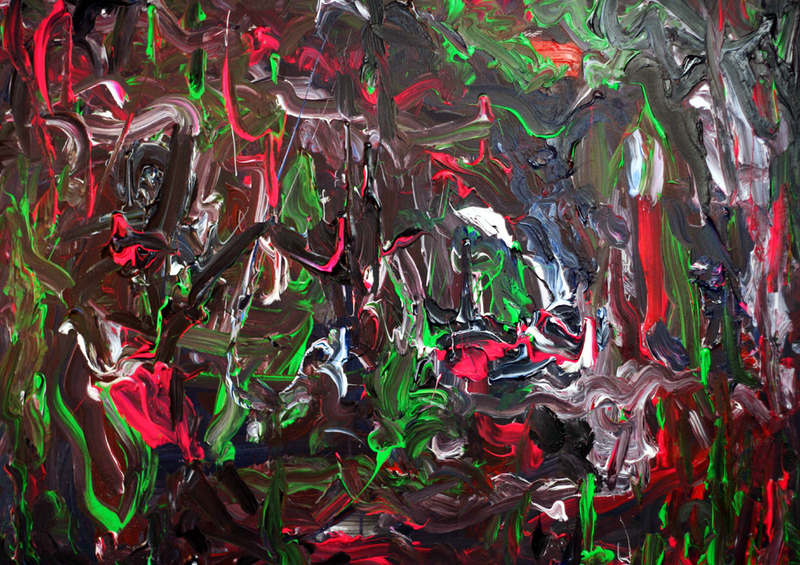 The project is meant to be performed in front of an watching and listening audience, ideally the project is to be performed in a series of 2-3 consecutive performances, so that the exhibition part of the project is the presentation of these 2-3 resulting paintings, exhibited in the same room with the sound of each work played out against each other in a cacophony.